Wandering Heroes of Ogre Gate draws on a number of sources for inspiration. I watch a lot of wuxia movies and TV shows, and these have had a big influence not only on Ogre Gate, but on Sertorius and many of my d20 campaigns. I am hoping to share some of my favorite movies and shows in the genre here as we work on WHOG. Note: I am writing these as a fan of the genre. I am not a movie expert or an expert in asian cinema. 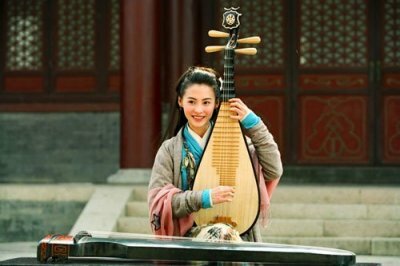 These are my own observations based on what I have learned by watching wuxia and kung fu movies, and by reading about them through interviews and books. But my knowledge is quite limited and I am an English speaker. So understand that my commentary comes from this perspective. Note: This review contains many spoilers. 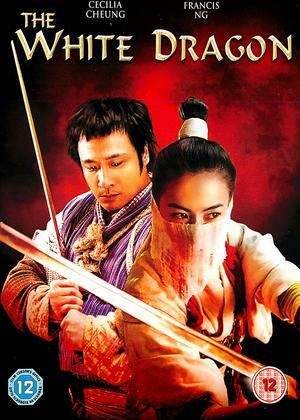 The White Dragon is a 2004 release directed by Wilson Yip and starring Cecilia Cheung (Black Phoenix/White Dragon) and Francis Ng (Chicken Feathers). This is a somewhat odd film. I feel like it should not have worked for some reason. The first time I saw it, I nearly turned it off twenty minutes in because it just didn't click with me initially. I'm glad I didn't stop watching because once I became interested in the relationship between the two main characters, I found myself enjoying the movie a lot more than I thought I would. 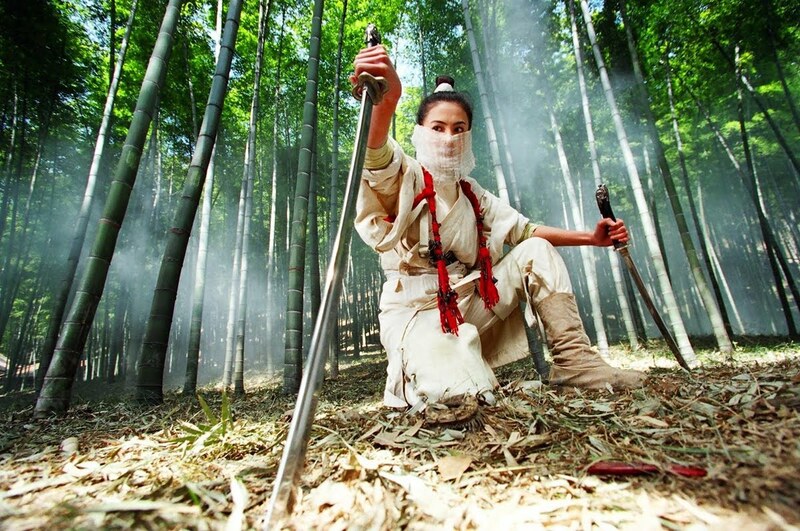 The White Dragon is a blend of comedy and wuxia, but not in the style of Stephen Chow or Jackie Chan. It is very off-beat in its delivery, the humor sweet and soft, not a punch to the gut. It is the story of Black Phoenix, a self-absorbed student who is in love with the second prince and gets pulled into the martial world when the headmaster of her school is murdered by the blind assassin, Chicken Feathers. One of the senior caretakers at the school has a secret identity as White Dragon and she attacks Chicken Feathers after the killing. Chicken Feathers nearly kills White Dragon and manages to escape. As she lay dying, White Dragon sees Black Phoenix (who has no martial talents) and transfers her Kung Fu to her. This propels Black Phoenix, now White Dragon, into the world of martial heroes but it comes at a cost. Obsessed with her own beauty (to the point that she had surrounded herself with ugly friends so she could get the most attention) and focused on her courtship with the second prince, White Dragon is horrified to discover that the skills transferred to her produce a terrible outbreak of acne that can only be eliminated by doing good. She sets out on a campaign to rob from the rich and give to the poor, and slowly her complexion improves. The lives of White Dragon and Chicken Feathers once against intersect when he is hired to kill her lover, the second prince. As a matter of principle Chicken Feathers only takes contracts on men who deserve death (the headmaster of the school for example was accused of taking advantage of his female students for example). 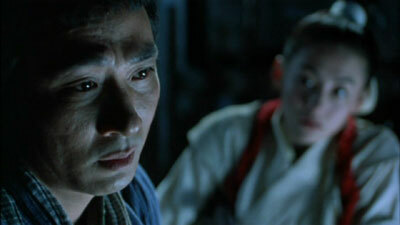 Why he accepts the contract on Second Prince is unclear at first but becomes clear by the end of the film. White Dragon vows to protect her prince and finds she can lure out Chicken Feathers by playing her flute. Her playing has a strange effect on Chicken Feathers, causing him to marvel at the sound and do a kind of stumbling dance. At one point she attracts him by playing the oddly fitting first few bars of Ode to Joy. Over the course of several attacks, she attempts to find his weak spot but fails each time. In their final fight she breaks her leg kicking him in his groin and Chicken Feathers nurses her back to health over the course of weeks at his humble cottage. This is where their relationship grows and the movie becomes a lot more interesting. Normally I like films to have fairly regular fight sequences without too many lulls, but I found myself enjoying The White Dragon more when it dispensed with the action and focused on the dialogue between White Dragon and Chicken Feathers. In a way the action is the bait to draw you in for the love story. This is the heart of the film, and I think the reason it had so much appeal for me. I liked how White Dragon illuminates the world for Chicken Feathers with music. He cannot see but she shows him the stars at night by playing a song that feels like starlight. He wants to see the ocean so she plays him a melody that sounds like waves. He wants to see her for the first time...finding the right melody proves more difficult in this instance. From this point on a standard love-triangle emerges and the film culminates in a great final battle with White Dragon proving herself to be a worthy hero amid a few interesting twists. The White Dragon is a gentle Romantic Comedy that draws you in slowly. There are some funny moments that caused me to laugh but overall what I liked about the movie was the romantic storyline and the way they handled the Chicken Feathers character. I don't know why, but I found myself intrigued by his mannerisms and backstory. There is a real sweetness to the movie that is refreshing. The emerging love between White Dragon and Chicken Feathers is one example but the relationship between Chicken Feathers and his fatherly go-between Doctor Dear Tail is another (their relationship is similar to that of Leon and Tony in The Professional). Even the fading romance between Second Prince and White Dragon has a certain sweetness to it. There is a sentimental undercurrent that just works if you allow it to. You kind of have to lower your guard for it to work though. While the humor isn't a hit to the gut, the sentimentality is a sucker punch that works because you are not expecting it. The action itself, where it occurs, is solid. There is actually a pretty good bamboo forest scene early on and the climax is well executed. The fight choreography was done by Ma Yuk-Sing (Swordsman I&II) and doesn't disappoint. It has a lot of acrobatic elements, something I really enjoy. Somewhat notable was the use of katanas in several early scenes rather than sabers or gentlemen swords. Ultimately it was the approach to music that won me over. Not so much the music itself but the way they used music as a language that connected the characters and enabled Chicken Feathers to see the world as White Dragon did. This part of the movie was worked so well. Perhaps I have weak spot for music, so readers may want to factor that in here, but I just loved how her music became his eyes to the world. The White Dragon won't appeal to everyone. I imagine some folks might be put-off by the style or the insertion of modern elements for humor. I think this is worth watching with an open mind. It isn't going to be what you expect and the film changes a lot by the midpoint. Like Chicken Feathers himself, it takes some warming up to appreciate but once you do it is worth it.